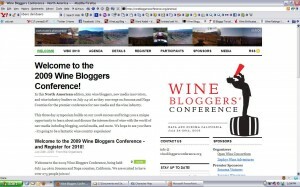 Vinopanion | Blog | WBC09: Live Wine Blogging! 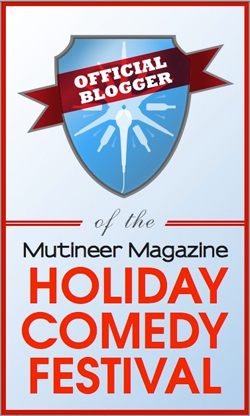 WineLog » Blogs » Vinopanion » WBC09: Live Wine Blogging! P: Offdry, with a fuller mouth from that RS, but god yellow apple and pineapple, particularly in the finish. Good quaffer for spicy fish or Thai. N: Very candied, almost artificial sweet cherry scents, whoa. Not my thing. P: Very plasticy candied cherry and blueberry. Not my thing. P: Also good cherry here, but more juicy Bing cherry with a round tannin and easy good finish. N: Very good here, with dusty red fruit of cherry and juicy raspberry, then also some mint, new leather and cardamon, quite good. P: Full, very nicely balanced, with wonderful red/black fruit, some slight fresh earth and that good leather starting to come through in the finish. Quite good, great round tannin and good acid. Best so far! $10, all wines from portfolio are $10, at BevMo 5c sale right now! P: Good coating mouthfeel here, with more chalky feel on the backend, that same great blue and black fruit is here as well, with more of a black cherry finish. Very good value and QPR! 25% new oak, $16, recipe from The Girl & The Fig on the peel-out back label! N: Some sulfur here, but blows off. Then good black fruit, very dark, with some more savory herbs. P: Coating, mouthfeel here too, with great pepper and some blue, almost more cobbler type finish that goes for quite some time and finishes with good acidity. Nice. N: Huge bouquet here of great lemon bar, great florals here as well, great tropical fruit of melon, pineapple and kiwi. Great. P: Creamy, yet crisp mouthfeel here, showing a very tight balance between having an ML-driven, barrel-fermented styled Chard, yet still with great acid that makes this have tremendous complexity. Good tropical fruit here with tons of pear and yellow apple. Outstanding, long finish with a lemon twist. Best white so far! P: Big juicy pear here, with good acid, but creaminess is driving a bit more of the balance right now, finishing more of a yellow apple. N: Blue/black fruit with some charr and rosemary here, as well as some flint, interestingly. More austere style. P: Very cool black fruit here, continuing with some of that char here as well, followed by great fresh garden herbs of that rosemary and others and very long black fruited finish with some charred earth, continuing to be austere yet balanced here too. Good! P: Fuller mouth than expected with a sweeter quality to the plush plush red and blue fruit, with that same good earth, but the fruit is sweeter than I like. Only HS in the world with a winery permit, in Forestville, 1ac planted by RRVW and guest winemakers come in such as Merry Edwards, Lee Martinelli, Bob Cabral WHOA! 100% of the proceeds go back to the HS. 100 cs. $35, obviously SingleVineyard. N: Good earthy red fruit here, with plenty of dust and good complexity. P: Good tarter cherry and dusty, slightly sweeter rhubarb here as well, followed by baking spice. Good. N: Good menthol here and garden herbs of tarragon and black fruit, but the fruit here seems a bit overripe or even stewed on top. P: Great mouthfeel, solid tannins, but while the menthol is here too, the stewed fruit comes out even stronger here. Unfortunate. N: Much better chalky, dusty black and blue fruit here now, with that same menthol and tarragon. P: Same good mouthfeel, but much darker more very ripe, but not overripe fruit with great balance of acid, big, round tannin. Good.